This ultra-soft cotton babysuit is a clever (and hilarious) play on miniature candy bars. Don't even think about calling your baby "little." They're "fun sized." 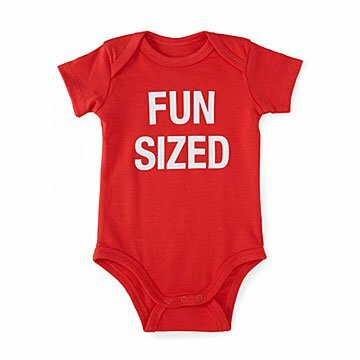 A clever play on miniature candy bars, this ultra-soft cotton babysuit is an adorable addition to your mini me's wardrobe. They'll get a lot of giggles out in the real world and in those oh-so-important social media shares. Just don't let it get to their head. After all, they are a tiny version of y-o-u. Made in China.